Soft mesh net design makes the bath pouf very comfortable to use and creater much lather. 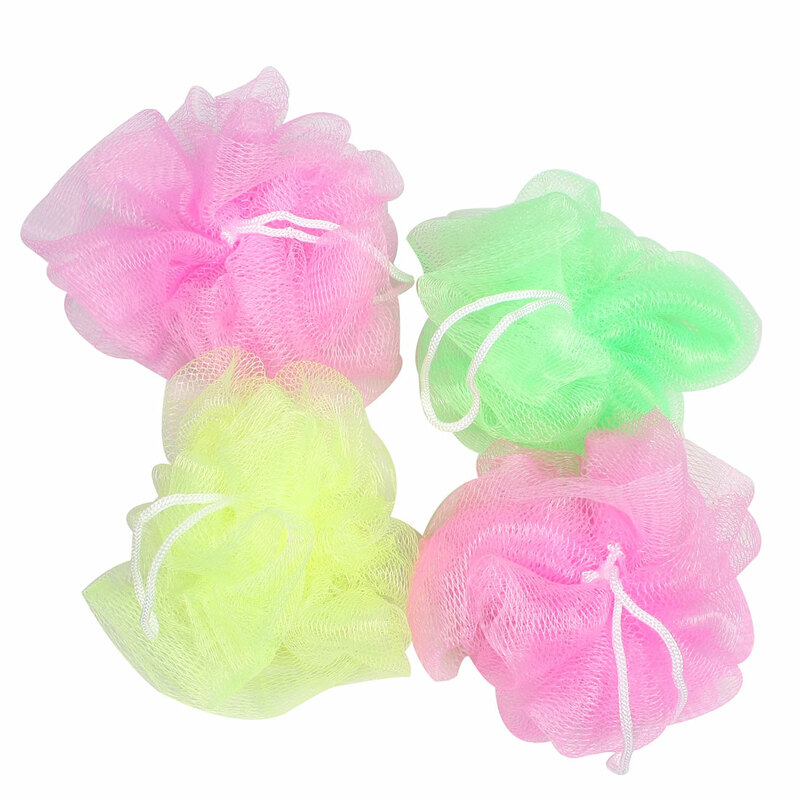 Suitable for bathing use, is very convenient for you in your daily time. This bath shower pouf is gentle on your skin. White hanging hoop is convenient for hanging when you don't use it. Main Color : Pink, Green;Diameter(Approx.) : 13cm/ 5.1"